Tiny and almost indistinguishable as an MP3 player, Digitalway’s MPIO-DMK is nonetheless fully equipped with 128 MB of storage space, a back lit LCD, and 10-hour battery life with a single AAA battery. Ideal for listening while exercising, it goes for a suggested retail of CZK 6,500. 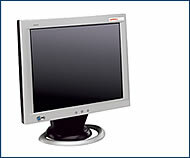 The Compaq TFT5030 monitor is a distinctively-styled solution to desk clutter. 35.5 cm wide and 35 cm tall, the screen takes up a mere 18 cm of surface depth, while delivering high-resolution digital display quality. CZK 25,100. 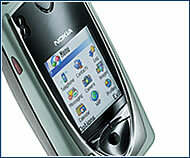 Nokia’s 7650 hits shelves and heralds the advent of multimedia messaging (MMS), enabling users to take digital photos using a built-in camera, add sound recording, and send it all together with text as one message. Also included is a color display and GPRS. Price yet to be determined..
Panasonic brings a full home audio-visual solution to the Czech market with the NV-VHD1, a combination DVD, VCR and CD player. 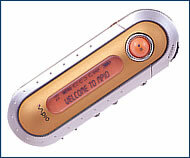 Features include MP3 playback, CD-RW, and 12-hour recording. CZK 19,995.